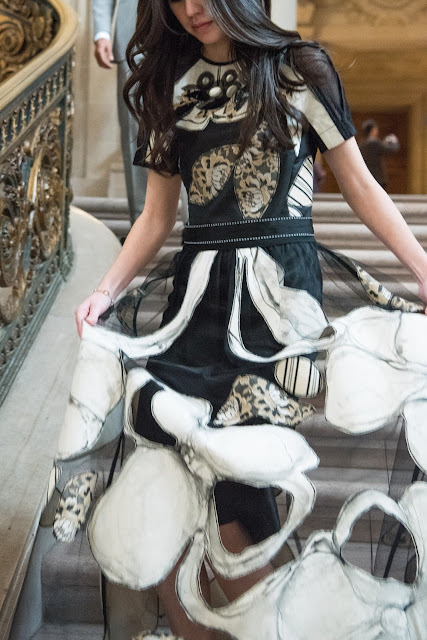 Who is Diane von Furstenberg, and why are her wrap dresses so sick? Did you know she was a princess?! I decided to start a series where I do a little background research on a designer I'm interested in and whose work I admire. 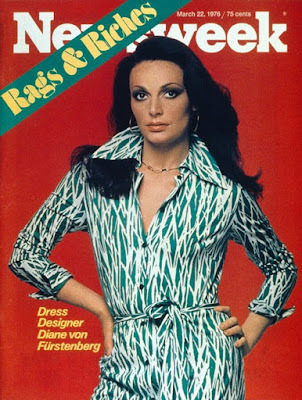 It is sort of fun to dive into the history of fashion lines, and who better to start with than wrap-dress queen and CFDA president, Diane von Furstenberg. To get the ball rolling, here is a great 10 minute interview between DvF and Leandra Medine, of Man Repeller, where she doles out such wisdom as "when you doubt your power, you give power to your doubts"
She was born Diane Simone Michelle Halfin, and later married Prince Egon of Furstenberg, a German prince. (Did you know Germany still had a royal family...I'm not going to lie, I did not). Although they later divorced, she started designing clothes when they married, and she kept his name on her brand as it grew. Far more interesting than her royal past, DvF introduced the jersey wrap dress in 1974, which put her brand on the map, and launched a thousand imitators. Since that time her company has grown into an international business with, per Forbes, estimated sales of $500 million. The wrap dress is pretty universally flattering, nipping in at the waist and then flowing down across the hips. There is something about the cut which is so easy to wear, and yet comes across as very polished. I also appreciate that the prints DvF picks are always fun. This particular dress is from the RealReal, and instead of having a tie at the waist, it just has a wide elastic strap, which sort of acts like a belt, giving you a faux-wrap that can't accidentally come un-tied. This particular dress also has pockets, which is always appreciated. A print in two colors is twice as good! I've enjoyed reading more about DvF, and might check out her book, The Woman I Wanted to Be. Have you read it and would you recommend it? I hope you enjoyed learning a little bit more about this awesome entrepreneur and business-woman, and in the meantime I will have to think about who I want to learn more about next!